It doesn’t take much to get a bad reputation or negative items posted about you on the internet. It can happen when you have a dissatisfied customer or an irate competitor. You can garner enemies from people who don’t like your posts on social media or you for some reason raise the ire of some mentally unstable person. Either way, you’ll need to address the problem with online reputation management and it can take time, effort, money, and sweat. 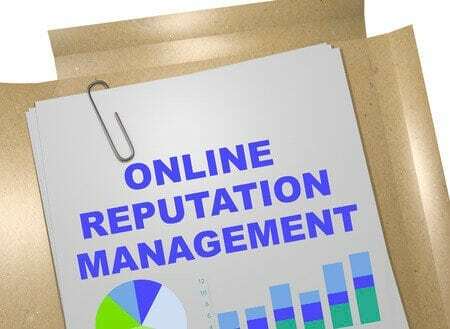 Online reputation management is going to be a tedious effort unless you’re very lucky. Once something is posted on a site, it’s up to the discretion of the site owner regarding whether to remove the post or not. In some cases and countries they’re demanded to do so but in others they’re not liable. This is a major factor in why it’s so difficult to repair your online reputation once some scumbag decides to make your life miserable. There are levels of libel and slander and defamation that might come into play, but the costs of remedying such can be costly regarding legal fees. Considering the ability of many online posters that do so anonymously, you’ll also have to use high tech means to track them down and even then they may have rerouted paths to unsuspecting individuals who may look like the offenders but are nothing more than pawns in the game. Social media sites are nightmarish as once something is posted it might get shared any number of times. You might miss the post and weeks later come to find out it’s had a devastating impact on your search engine rankings and overall sales. Each social media group has its own terms of service and they may or may not include removing negative posts you can’t prove are false and/or damaging. This takes time and effort to resolve and once done it doesn’t mean the perpetrator won’t use an alias to come back and do it again. If someone hates you and they’re web savvy, they’ll find ways to get around the rules and keep on doing damage until they one day will inevitably slip up, get caught and then have to face untold numbers of felony charges and civil charges. It’s not a matter of ‘if’ they’ll be caught, it’s a matter of ‘when’. This won’t dissuade the mentally ill or irresponsible, however, and only incarceration will put a stop to their misdeeds. To begin repair it calls for one on one talks with site owners to see if you can either get the smudge to your reputation removed, or counter the claims made. This can take months of searching and communicating so that the search engines gather that your name is good and the good posts overshadow the negative posts thus pushing them far down the search engine pages. Little by little you’ll begin to gain the upper hand on the negative posters. Make sure you include your name in the heading, body, and sign of each post however. If on your own site, make sure it’s in the title and posts and if possible have a domain name with your name in it for such postings. A blog touting your goods and services helps too and every positive notation, post, and reference should be tagged with your name. Leave no opportunity pass that allows you to put your name on a good post. It helps the search engines along the way at every turn. Now comes the big battle: link building. In this case you’ll need to build positive links to your name and content. If you’ve lots of links already you can optimize them but if you need more and push comes to shove you’ll have to hire a Listing Distributor, whose job it is to get the word out to search engines, directories, yellow pages, and so on. They’ll pepper the web with positive news about your site and optimize that data. You will save much time and energy taking this route and although it can cost a good penny, you’ll end up saving money in the short and long term. The bottom line here is that protecting your online reputation calls for lots of due diligence, especially when you’re dealing with vicious competitors who will go to no lengths to undermine you using the web. Catching them early is good but you’ll have to go long to prevent them from doing it again. It takes time and effort and in some cases a good chunk of change but in the short and long run, it will be worth it.